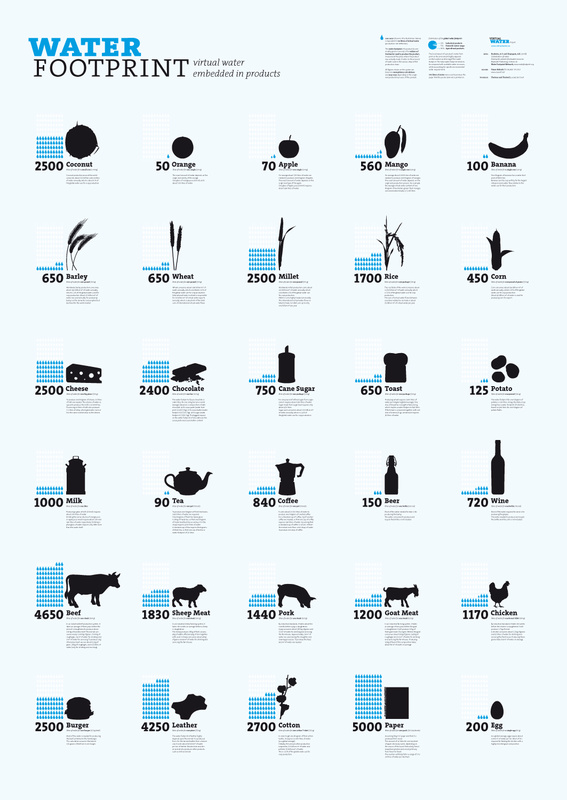 Did you know it takes 2,400 liters of water to produce one hamburger? For those of us who live in water abundant regions such as New England, this may not seem like a big deal. But it is. Even though that hamburger could have been produced locally, it probably wasn’t. More likely, production of one hamburger could mean importing 2,400 liters of water from another region of the world, directly affecting the water supply of that region. The water required to produce any item—from a hamburger to a t-shirt—is called “virtual-water.” We currently move millions of liters of water around the world daily in the form of virtual water. Virtual-water is rarely taken into consideration when setting policies or developing sustainable strategies. Most people have never heard of the concept. Yet because humans cannot live without it, potable water is arguably the pressing issue of the 21st Century. As we set policies in the coming decades, we need to develop methods for accounting for virtual-water. The virtual-water concept, established by J.A. Allen in 1998 to address water scarcity in the Middle East, illuminates the fact that most of the water used in production is not contained within the final product. Agricultural, crop and livestock, industrial, and domestic services products all have a virtual-water content. For example, the virtual-water content of wheat is 1,300 m3/ton, while the real-water content is less than 1 m3/ton (Hoesktra and Chapagain, 2008). The following table provides some examples of common consumer products. At the individual level, these numbers may seem insignificant. But when you calculate the virtual-water consumption of an entire nation, the number can increase quickly. According to numerous researchers, virtual-water flow between nations is approximately 1,000-2,000 billion m3/year. “This means approximately 1-2% of global precipitation above land is used to make commodities for export to other countries,” (Hoekstra and Chapagain, 2008) a volume approximately equivalent to the annual runoff of Congo. Understanding these flows is important to achieving environmental and social sustainability. For example, Argentina exports 50,600 (106 m3/year) and imports 5,640 (106 m3/year), while Italy exports 38,200 (106 m3/year) and imports 89,000 (106 m3/year) (Hoesktra and Chapagain, 2008). Generally food and clothing producer countries with large arable land bases and lower consumption levels, such as Argentina, Brazil and China, export more virtual-water than they import, while consumer countries with smaller arable land bases such as Italy and Japan, import more than they export. Despite its high consumption levels, the US is a net exporter because of the “breadbasket” of the west. As policy makers, we might ask how does the net export of virtual-water by countries such as Argentina and China impact the local citizens and ecosystems? Conversely, how do countries such as Italy, Japan benefit from importing virtual-water? As we face water shortages in the coming decades, these questions will become more and more relevant, especially for those producer regions that are water scarce. Virtual-water is an important component of the accounting method of water-footprinting. Arjen Hoekstra and Ashok Chapagain developed the water-footprint concept in order to understand the human consumption of fresh water by nation. 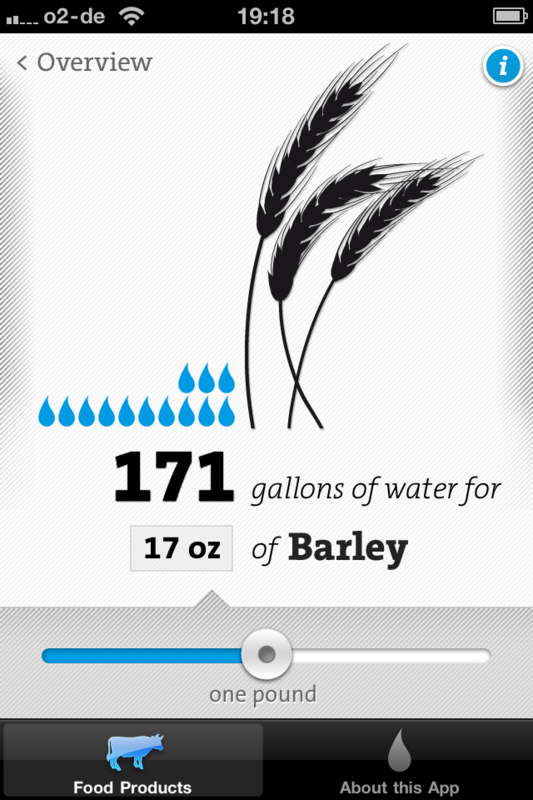 This water-footprint method accounts for all water use by tallying consumption of rainwater, surface/ground water, and virtual-water through consumed goods. Traditional methods track local water withdrawal for economic production, however, these methods are problematic because the responsibility falls on the poor producer countries rather than the wealthier consumer countries. Virtual-water analysis can help countries and regions better understand how they are managing their water, and who is consuming it. It can be used by decision makers in water scarce regions to develop strategies to save water by increasing imports and by reducing exports with high virtual-water content. And it can be used by those in water abundant regions to boost their economies by doing the opposite. Virtual-water analysis can also help address global water scarcity issues. Certain regions are better suited to produce certain items because of climatic and ecological conditions. When these regions strategically produce these items for export, and engage in advantageous trade, they can improve overall global water efficiency. Create applications for phones and computers that allow consumers to understand the virtual-water content of their food and other consumer goods. Start with produce since most produce is already labeled with country of origin. Conduct nested scale policy analysis. Institutionalize analysis that simultaneously accounts for water use at the local, basin and global levels. Improve trade strategies to help regions better use water resources and become more “water secure,” whether by reducing exports (water poor regions) or by reducing imports (water rich regions). Help citizens to better understand their regional water resources, and what they can do to protect these resources. Institute policies, subsides, and incentives that encourage regionally appropriate production and production rates based on available water supplies. Support development of low water, high yield agriculture techniques. Local Charge full marginal cost, install water saving technologies, improve water awareness education. Regional Allocate water to purposes with the highest marginal benefits. Global Make production export decisions on local/regional water availability (scarcity or abundance). Virtual-water content analysis and the related policy changes face many challenges, including debate on the validity of the concept, a definition and methodology for virtual-water, implementation of related policies at different scales, and the impact on regional economies. Currently, many regions that are exporting large quantities of virtual-water experience economical benefits. However, if we are going to create a more sustainable and just planet, then we need to start analyzing water use and distribution in ways that will help us to reach this goal. Virtual water is one tool that will shape the landscape of our future. Black, Maggie and Jannet King. The Atlas of Water: Mapping the World’s Most Critical Resource. University of California Press. 2009. Gleick, Peter H. The World’s Water 2008-2009: The Biennial Report on Freshwater Resources. Island Press. 2009. Hoekstra, Arjen and Chapagain, Ashok K. Globalization of Water: Sharing the Planet’s Freshwater Resources. Blackwell Publishing. 2008. Ludwig, F. et al (ed). Climate Change Adaptation in the Water Sector. Earth Scan. 2009. Sarah Howard serves as the Executive Director of Earthos Institute, an organization dedicated to helping communities live within the resource limits of the planet in fair and equitable ways. Sarah worked in community development for over 10 years, studied architecture at Boston Architectural College, and is now completing a Master of Public Policy in Tufts Urban Environmental Policy Planning program.